LPFLEX is a global brand engineering and technology company that provides end-to-end services for the production and supply of high quality LED Signages and Digital Display Solutions. As a member of Maas + Roos AG, Germany, LPFLEX holds 95 years of experience and successful track record in serving Top Retailers and organizations across 120 countries. In the middle east, LPFLEX has provides products and services in all major countries which include UAE, Kingdom of Saudi Arabia, Qatar, Bahrain, Oman, Kuwait and so on. 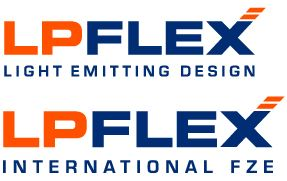 LPFLEX brings to the table the best of German know-how in signage manufacturing, design and installation, providing customers with superior technology and service. With own R&D LPFLEX holds several patents for its products and helps Global Brands to ensure uniform lighting and fine-tuned colour display across all locations, with no colour or light variations. In addition to innovative static LED signage solutions, LPFLEX also offers a wide range of digital display solutions for specialized brand-aids and customer experience program management, which include Intelligent Modules, High quality screens, interactive and non-interactive walls, LED walls, digital way finders, Purchase consoles, LED curtains, kiosks, , 3D holographic fans, the latest transparent LED displays other unique solutions. The company also offers a cutting-edge content management solution that allows retailers to have a centralized control of display screens located at various locations across the globe, from a central hub. This enables brands and companies in the retail, hospitality and healthcare sectors, as well as large-scale developers to cost-effectively manage on-screen communications and campaigns from one central location. Apart from the technical experience and expertise, LPFLEX also deploys key creative teams to work on brand signage concepts, engaging customer experiences and breakthrough on-location visual concepts to bring marketing ideas to life.